Sydney has been with MCG since its inception. She has more than 15 years of experience in organizational and professional development; strategic assessment and planning; resource development, marketing and communications. She works with MCG clients to design and implement work plans and processes that turn big ideas into action. Throughout engagements, Sydney arms individuals and teams with skills and tools to succeed in a changing and increasingly global marketplace. Sydney brings energy, experience, critical thinking and a deep commitment to learning and collaboration to her work. Her ability to listen to, decipher and synthesize data and ideas allows her to understand multiple points of view and to crystallize those thoughts into key themes and goals around which an organization can align its resources. 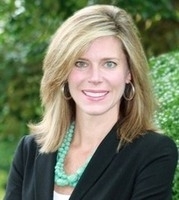 As an independent practitioner, Sydney led the restructuring of the development and marketing teams at United Way of Greater Richmond and Petersburg to raise approximately $20 million through the annual workplace campaign, major gifts, planned giving, endowment, grants and corporate gifts. She also created and built the sales and marketing forces for nschool.com (purchased by Education Networks of America) and strategically positioned the company within the educational, technology and investment communities. Before that, Sydney facilitated process redesign and change efforts within Turner Broadcasting Sales and Georgia Crown Distributing Company. Sydney graduated with distinction from the University of Virginia with a degree in Foreign Affairs, concentrating in diplomacy and law. Sydney is an active member and fundraiser for Impact 100 Richmond, The Community Foundation, James River Writers, and the parent associations for Westhampton Day School and Collegiate School. When she is not involved in strategic planning for a client, she is raising two children and her dog, Blue, with her husband near the James River in Richmond, Va. Sydney enjoys live music, tennis, walking, traveling, writing and cooking for family and friends. She hopes to turn her notes, thoughts and photos into one publishable story per month.